There are so many other things I want to post about - so many half-written posts strewn about in my Drafts folder. But at the moment, I'm not feeling very intellectual -- pardonnez-moi -- so I'm going to default to a rambling mode for a while. You know, by talking about life, movies, books, and whatever has been occupying that thing called the brain for the past few weeks. This week, my company introduced the summer hours option to those who wanted it. And why wouldn't someone want an extra day off in a week? My whole team had signed up for it and we were pretty giddy with excitement and trepidation on the first day at work after the long July 4th weekend. Let me tell you, working 10 hours a day is easy-peasy. In fact, when there's anyways a lot of work to do, you barely notice the clock go tick-tock, tick-tock. But, imagine heading to work every morning by 7 am! When even the sun is snoring behind the gray clouds and has sent forward an emissary of fog to depress people like me. I was pretty anxious about how it's going to work out. I had my lunch, snacks and my work attire all planned out the previous night itself, so that I can just drag my feet to the bath, dress up and head out the door without requiring my brain to think too much in that ungodly hour, just in case it suffers some severe exhaustion due to over-stressed neurons! Tuesday went so-so. Wednesday, my head felt as if a truck went over it. On the plus side, everyone was tired. So it was fun, in a weird way. Like, when everyone has a hangover, you feel better about the hangover? Or when everyone flunks in a test, you actually feel good? Makes sense? Luckily, Thursday went super-perfect. Sleeping early the previous night worked. That might also have been because it was the last day of the workweek. I may have to start saying TGIT for two months at least. On the plus side, having a long weekend trumps. For one thing, there's a lot of stuff I get to do on Friday with people/businesses that are closed on weekends. On the other side, there's all the reading I can do. Speaking of which, I've been mostly reading this weekend. I finished a couple of pretty good graphic novels, which I'm hoping to review this week. I'm also in the middle of two awesome reads - Annabel by Kathleen Winter, which is so beautiful that I have to pause every so often and relish in its beautiful language. I can't believe this is a debut book! 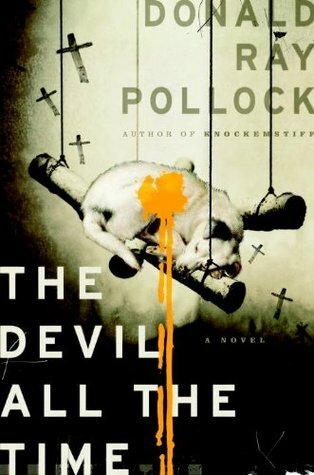 I'm also going through The Devil All the Time by Donald Ray Pollock, which is turning out to be just as good! When I wasn't reading, I was watching teen flicks. Especially the feel-good ones, that I don't have to think about much and can just run in the background. 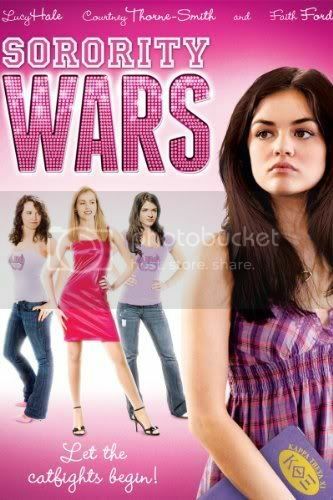 I watched Sorority Wars, an exaggerated look at the Greek sorority cliques in college. I actually enjoyed this one. It wasn't really cheesy but it was a bit over-dramatic. Still, it was very enjoyable. After a few trash movies in between, I also watched Center Stage, which was really really good. Center Stage is about a few ballet dancers, and after watching Black Swan, which I loved, I had pretty much decided not to watch any more ballet movies. Not because I don't like ballet. I do. But the movies almost always focus on the dark aspects of ballet, like the grotesque injuries. The injuries exist, of course, but they can be unsettling to watch. 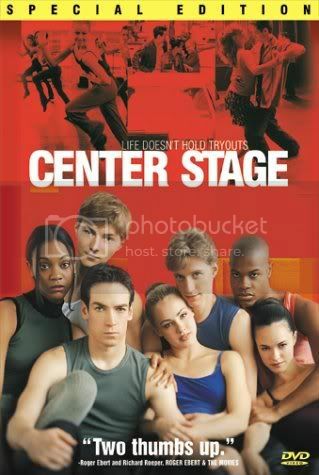 Center Stage focused mainly on the ambitions and the actors did a good job. How has your weekend been? I am so envious! I would absolutely love summer hours. I think you're right in that it's a lot easier to just stay at work for 10 hours than it is to go in on Friday - I know I'd take advantage. I keep hearing amazing things about Annabel - can't wait to read your review! So you work 10 hours a day 4 days a week then take a day off? That's pretty cool. I do something similar but I work 8.5 hours a day for 9 days over a two week period and get the 10th day off. Like Meghan I too am looking forward to your Annabel review - if you like books with beautiful prose then check out The Still Point, it took me forever to read that book because I had to keep stopping and rereading passages they were just so beautifully written! Your thoughts about Annabel is tempting me to leave aside my current reads and move on to that instead. I loved Black Swan too. But it creeped me out quite a bit. I still feel angry when I think of how they just grabbed it back. I hope yours turns out better! I like weeks or weekends for just watching whatever. I often have the Soap Net channel on in the background, with those reruns of Beverly Hills 90210, One Tree Hill, etc. I wish my husband's company would do that! He works at least 10 hours a day anyway. Enjoy all your long weekends this summer! It sounds like it's taking a bit of effort to adjust to your new schedule, but I would have totally chosen the same thing. Center Stage looks interesting, though I am also a little traumatized by Black Swan and have avoided ballet movies for the same reason! I hope you have a great week and get lots of reading done! Glad to hear that you're starting to get the hang of summer hours. I haven't watched Black Swan yer but hope to do so soon. I've read so many positive things about Annabel. I can't wait to read your review. I would accept ten hour work days right now. Rather than nine hours four days a week and six on Friday. My mom worked ten hours days for a few years and she was super happy with it. I would enjoy summer hours for a 3-day weekend. (We only work 35 hours a week for full time). You have been getting a lot of good reading in - I want to read Hello Goodbye. I really want to read Annabel. I looked for it in two different bookstores and they didn't have it. I know I can get it online easily but it's not quite the same as finding that perfect read and walking right out of the store with it.